This Beauty Mark Dallas Retro Window Awning has a retro feel but uses modern technology to enhance your space. The material is not only beautiful but durable. It is UV resistant; therefore, the color will remain bright summer after summer. It is water resistant and will remain intact through all the wind and rain the seasons drop on it. The aluminum base and simple brackets to install the awning create a strong base that does not require your entire day to install. 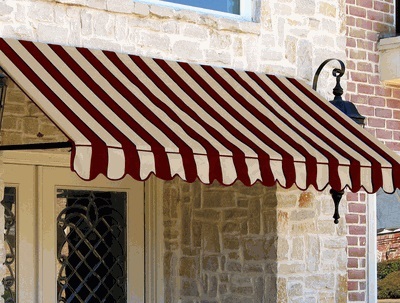 The awning material is anti-microbial and 100% woven acrylic. Fear not of mold and mildew. Enjoy the 5 year warranty that comes standard with this wonderful awning. We would like to know the meaning of the following details: minimum mounting height (inches) - 84, mounting space required (inches) - 4. 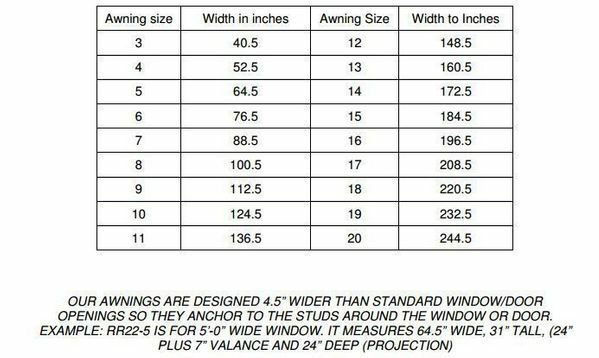 The minimum mounting height is the least amount of height of the wall where you want to install your awning. This mounting hardware requires at leat 4 inches of space to be mounted. Is it possible to get this in a custom color? We are looking for a purple color. 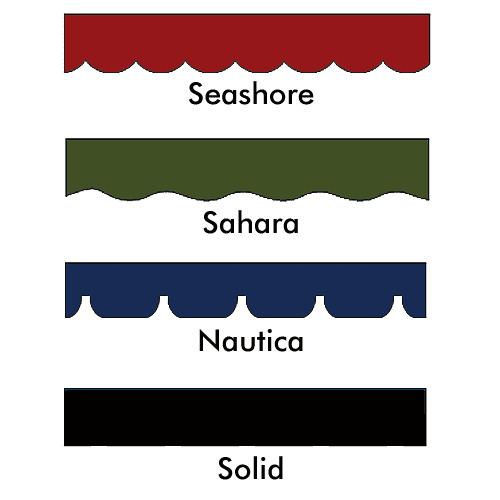 These awnings can not be customized by color.